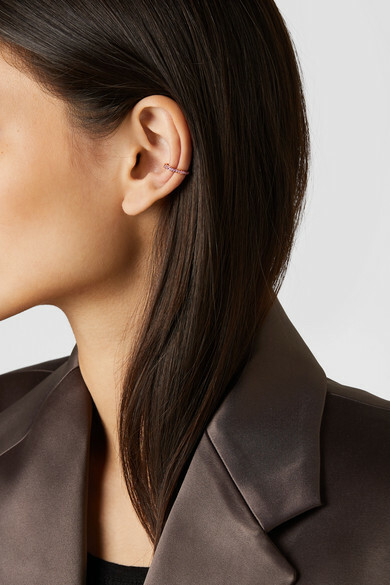 Like the look of stacked earrings but not so keen on piercings? 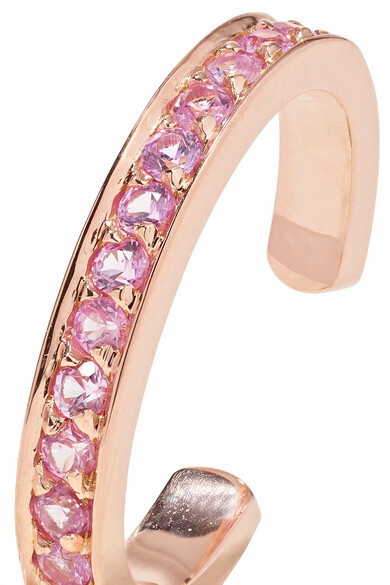 Anita Ko's cuff is designed to slip comfortably onto your lobe, and can be layered with other styles or worn solo. 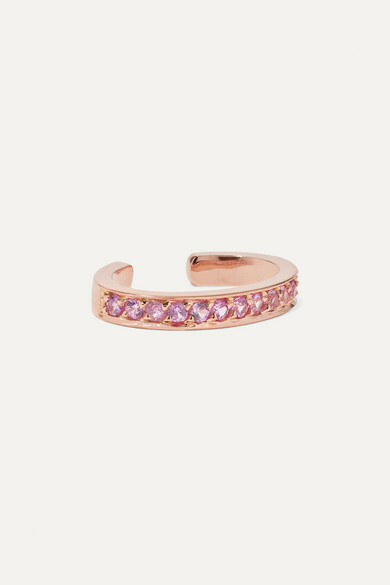 It's cast from polished 18-karat rose gold and set with 0.20-carats of pink sapphires. 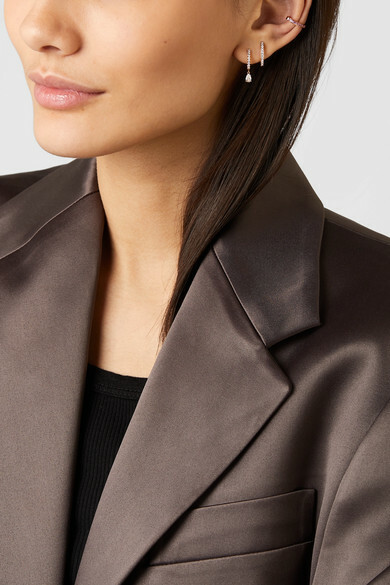 Shown here with: The Range Tank, Tibi Jacket, Anita Ko Ear cuff, Anita Ko Ring, Anita Ko Earring.